As we’re now quite close to our first deadline for the handbook in the GAMEiT-project, I’ll publish yet another draft. Whereas the first draft chapter I published here was intended to provide an overview of the field of game based learning, this one is more specific. Based on much of the writing on game literacy and the perspective of developing video games, I attempt to illustrate how the entire process of developing games in education is indeed a valuable entrepreneurial process involving a slew of skills and competences. But hey, some people (who know me) would say, you’re no game developer?! I fully acknowledge this, and I don’t intend to become one, really. I am very happy with my current position, navigating between and talking to researchers, game developers, consultants, educational practitioners – and people like myself, who are not easily categorizable. What I do intend is therefore to “connect the dots”, creating an overview, showing how education can learn from what takes place outside the walls, and how developing games resonates with a wide array of skills and competences highly valued by contemporary society – also outside the game business. Whereas I thus often position myself at a distance, trying to maintain an overview, my fabulous colleague and game master at GameIT College, Anders Vang Pedersen, is actually a game designer, and thus far better at the actual development. Much of what I describe has been carried out by Anders and merely observed by me. Well, as always, any comments are welcome, and not least if you’re a game developer. Do I get anything completely wrong? Or do I miss important details? If you want to have a say in the handbook, I would love quotes from developers – either in the comments, via Twitter or just contact me. As I announced on Twitter earlier today, I’m currently working on a conference to conclude the GAMEiT-Project in a way, which mirrors the overarching purpose of the project – to explore the field of game based based learning (in practice) and to share all relevant knowledge found along the way. The conference is being held in conference facilities at Park Inn Copenhagen Airport Hotel the 13th October 2011. The hotel is very easily accessible no matter where you’re coming from. So far, so good (literally and figuratively). Being the one responsible for planning, coordinating and executing the conference (with help, of course), I’m thus likely to leave my usual mark of openness and transparency on both the process of planning and the conference itself. I’ll attempt to include external partners, announce everything on Twitter (with #gameitconf), and invite inspirational people to introduce projects. We’ll have a number of keynote speakers (to be announced soon), who will represent some of the most interesting developments in the use of games in education. Another important component is an open “call for posters”. Again, in accordance with the ambitions of the project, the purpose is to support a more inclusive approach to knowledge-sharing. We want to create at the conference a platform for (primarily) practitioners to tell about the amazing game-related project, they have just carried out. Let me know, if you have done something interesting with games in education, and would like to share it with all of us at the conference (ca. 10-15 minutes). In conclusion, we’ll introduce the most important findings from our own project; either as a concluding panel or a serie of short talks. In the project, we develop a handbook, which will be available in print for the participants, of course. Pricing is not completely in place, yet count on something around 1000,- DKK (130 €) everything included. Follow the progress and announcements here, on Twitter, contact me for more information (which will be available soon), if you want to suggest yourself or others as speakers, or if you have any kind of questions. Oh, and the conference will be in English. We are looking very much forward to welcoming you! New to games & learning? I keep writing about how I perceive and work with games in education. If you are new to the field, however, there are far better ways to get up to speed. Why not listen to the worlds’ finest experts across research and practice? I always try to do that, and now I’ve attempted to aggregate some of the best videos from around the web & world, where truly inspiring and passionate people are introducing their perspectives on games & learning. Each video is accompanied by a few of the most relevant links as well as a brief introduction, yet I don’t want to take too much focus away from the actual videos; they’re what matters in this post. Sit back, watch ’em all in a row, or come back later. There’s food for thought to keep you going for several days, I suppose. If there’s one person who really must be considered absolutely central to the field of games and learning, it’s James Paul Gee. In “What video games have to teach us about learning and literacy“, Gee elaborately examines the principles of games, effectively showing why he perceives “games as learning machines“. Quite recently another prominent figure, Henry Jenkins, did an interview in 1–2–3–4 parts, which covers many of Gee’s important ideas. By writing “How video games help children learn” and leading the Epistemic Games Group, David Williamson Shaffer also positioned himself right in the middle of the field. His main interest seems to lie in creating video games as “powerful contexts for learning“. Most of the people I mention here can’t really be confined to one single category or discipline. This very obviously holds true when talking about Katie Salen. She’s a game designer and theorist, co-author of the widely acknowledged game study tome, “Rules of Play“. She’s also Executive Director at Institute of Play, where they want to “acti­vate a next gen­er­a­tion of engaged cit­i­zens” by “lever­ag­ing the power of games”. Institute of Play is a driving force behind the marvelous, highly innovative and extremely inspiring game-based school “Quest to Learn“. Back when I wrote my own thesis, I read a lot of Kurt Squire‘s work on Civilization and game based learning in general. I’m also looking forward to reading his upcoming book, “Video Games and Learning: Teaching and Participatory Culture in the Digital Age“. Constance Steinkuehler is studying “massively multiplayer online games (MMOs or virtual worlds) from a learning sciences & new literacy studies perspective”. She’s got some very fascinating perspectives on how people interact, learn and solve problems in e.g. World of Warcraft. Take a look a some of her current studies; lots of interesting articles to read. As Steinkuehler, Michelle is also doing a lot of research in and on interaction and learning in World of Warcraft, particularly in relation to “social knowledge construction, persistence, and constructing communities of practice”. Michelle is one of a growing number of terrific people, whom I’ve only met because of Twitter, where we’re frequently having inspiring and valuable discussions. The presentation to go with the video is here & here in a commented version. As I watched Tim enter the conference room on a Segway in Copenhagen last autumn, I knew I was in for a treat. Tim is a spectacular speaker, delivering a slew of ideas and readily available tools for learning, yet what really sets him apart is the incredible passion with which he presents all of this. As his blog title indicates, it’s about using “ICT to inspire”, which he also does on Twitter. Learning and Teaching Scotland is doing some really impressive work with games and game based learning, which is often explored at the Consolarium-blog as well. Derek Robertson is a key figure in this, and he’s been doing several exciting projects with games, e.g. “Using Dr Kawashima’s brain training in primary classrooms“. Oh, and he’s on Twitter, of course. Jane McGonigal is not preoccupied with learning per se, yet she does want to save the world, and such a tremendous undertaking can hardly be achieved without including learning. I thus sincerely recommend taking a look at her work, including the recently released book Reality is broken, and following her on Twitter. To end on a somewhat lighter note, take a look the very entertaining and enlightening “Extra Credits” series. This episode is devoted to “tangential learning“, trying to illuminate how playing games can make us more interested in learning more about certain topics. Posted on April 6, 2011 April 7, 2011 Categories Game Based LearningTags Digital Literacy, Game Based Learning, Game Literacy1 Comment on New to games & learning? Most of what I do is somehow related to the idea of using games in educational settings. I simply love the challenges raised by embarking on this rather intimidating endeavor, and challenges are indeed abundant. One such challenge emanates from the current lack of a common vocabulary and frame of reference. As more and more people are exploring the field, this particular issue is becoming increasingly problematic. We often lack the ability to clearly communicate our approaches, and I very often find myself trying to explain how I think about and work with games in an educational perspective. Sometimes I am successful, and people understand me. Almost as often, though, I am not and I only leave people more confused than before I started blabbering (this is not only due to lack of common understanding, but also due to me being the blabbering type, I admit). I will thus try to (somewhat) briefly aggregate and sketch out the multitude of different possible approaches to working with games in education, but I will do so within a particular framework. I do not see myself as having found any holy grail, but consider my thoughts and work experimental. Not (only) because using games in education is a relatively new idea, but primarily because I consider education (as well as life) to be an ongoing and experimental process. It makes sense to me to distinguish between perceiving games as facilitators of learning within (potentially) any subject matter (game based learning perspective) and studying games as a cultural phenomenon within a larger cultural framework (game literacy perspective). Roughly speaking, game literacy is about understanding digital games, both in their own right – “what is a game?” – and in context – “how does games relate to other media, society etc?”. This is done in many different ways, and the focus can be on developing cultural understanding, citizenship, critical-analytical-reflective competences and so on. In this approach, I am drawing upon work done on both media literacy, digital literacy (e.g. 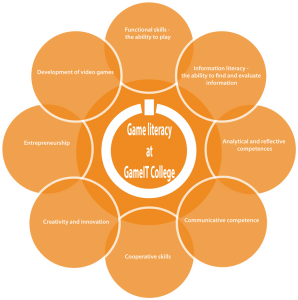 “Digital Literacy across the Curriculum” by Futurelab) and game literacy (e.g. by Kurt Squire and David Buckingham). José P. Zagal has also done important work in this area, not least with his book “Ludoliteracy“, which is exploring “games education”. Also, I am very much making an effort of including knowledge from the multidisciplinary field of game studies, which is fueled by the desire to actually understand games in a more elaborate manner. As pointed out by influential game researcher Espen Aarseth, “informed game scholarship must involve play, just like scholars of film and literature experience the works first hand, as well as through secondary sources”. Understanding games thus begins with playing games. So the groundwork is done, and we must progress to a “higher level of complexity” (referencing Bloom). This entails being critical, analytical and reflective about games, being able to distinguish the different components of a game (fiction, rules, interface etc.) and perceive the “cultural neighborhood” of games. And finally it entails being able to build games, either from scratch or using designated game authoring softwaree (or even playing the game-design game “Gamestar Mechanic“). Here we are, as Katie Salen argues, involving a wide array of skills and competences like “system-based thinking, iterative critical problem solving, art and aesthetics, writing and storytelling, interactive design, game logic and rules”. In continuation of this, it becomes obvious, that like digital literacy, game literacy is not about one specific skill or competence, but potentially a plethora of such (in some of my practical work at GameIT College, I’ve been trying to illuminate this with the figure above – which is heavily inspired by a model for digital literacy done by Futurelab). As I am really excited about the dynamic exchange of knowledge and ideas on Twitter, I am attempting to categorise discussions related to this topic using #gameliteracy. In my attempt to bring this hashtag to the fore, I had sceptical reactions from as prominent figures in this field as Derek Robertson and Tim Rylands, as “literacy”, in Rylands’ words, is “limiting too because understanding is 1 thing. “Gaining from” is another” (I should perhaps be quick to point out, that I am in no way questioning the enormous work done by both, and I am both impressed and inspired by the marvelous things they manage to do with and for games in education). I also very much agree that understanding is one thing, whereas “gaining from” is another, and I hope the remainder of this post illustrates why that is so. 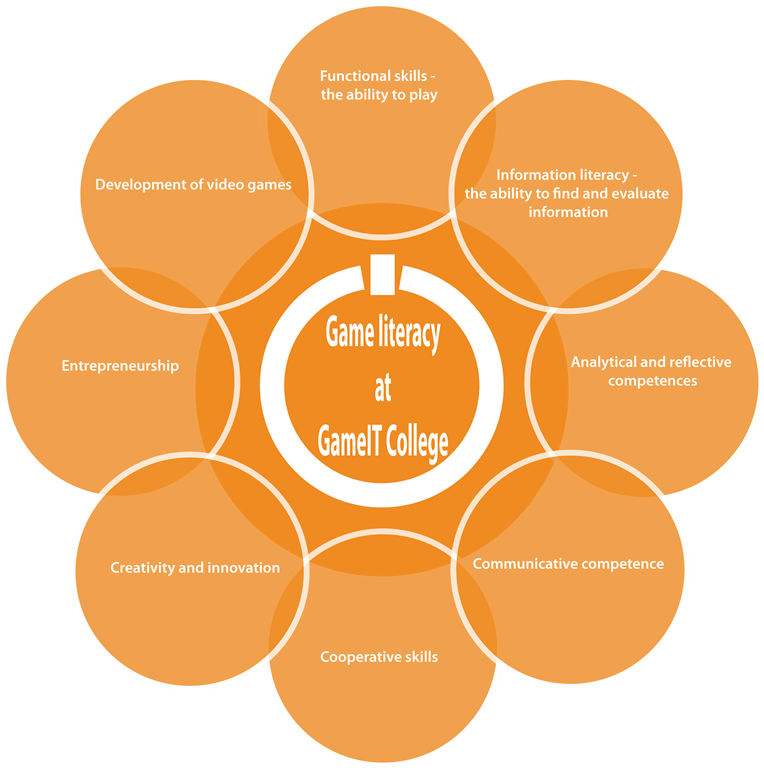 Whereas game literacy is directly concerned with the game (and related skills/competences), game based learning is concerned with the content of the game (and learning related to this content). Though this is very roughly speaking, I suppose it corresponds with the predominant perception. “Content” can be concrete, subject specific content (history, religion, politics, language etc. ), but may also consist of developing competences like collaboration, communication etc. A concrete example would be using a game from Serious Game Interactive‘s Global Conflict-series, e.g. Global Conflict: Latin America to support students’ learning about Latin America and social/economical/political issues (example in case is taken from an actual field study I did back in 2009). Other examples could be using Civilization to grasp history, learning about ecosystems with Resilient Planet or studying games to explore physics. COTS titles can be used as well as dedicated learning games (a subset of serious games); the pivotal question is whether or not the game is able to support the specific learning goals. At its core, game based learning is about understanding the learning principles inherent in games (as described in detail by James Paul Gee and tested by Futurelab) and utilizing these to create learning scenarios within and around games, where knowledge and skills are developed to solve concrete problems. When you play games, you learn what is relevant in order to beat the game. The “trick” is to make the connection between “what is relevant in order to beat the game” and “what is relevant to learn in a specific educational situation” as close as possible. Epistemic Games led by David Williamson Shaffer is showing how games can teach us to think and act like valued professionals, e.g. journalists, city planners, engineers, graphic artists and so on. When you play “epistemic games”, you must adapt the epistemology, the mindset of a particular profession, and learn to think and act in accordance with this epistemology to “beat the game”. Talking about game based learning, it may be easy to forget, that it is never just about the game. Even more weight should be put upon the learning situation or the didactic context of the game. Example in case: Good games create what Csíkszentmihályi famously dubbed “flow“. Flow is considered a good learning condition. Good learning games can thus be expected to create a good learning condition. But flow must be broken “to produce a state of reflection over the game-based experience”, as Thomas Duus-Henriksen writes. This alludes to the role of the teacher, which remains pivotal in game based learning scenarios, and games could thus be viewed not as “teachers” by themselves, but “teaching tools”. “Viewing games as ‘teaching tools’”, Ben Williamson writes, “is a useful distinction because it highlights the key role that teachers play in defining the purposes for their classroom use, in planning activities, and in providing curricular context”. Discussions on this topic is already taking place on Twitter, so follow #gbl. I also touched upon this earlier, though I failed to come up with a satisfying definition. The field is also ripe with at least one dedicated journal, several conferences, a large and growing number of research projects etc. So now I’ve put things in boxes, which I dislike. Let’s get them back out in the charming complexity of the world. The above distinction, of course, is by no means neither rigid nor indicating that the two approaches exist independently of one another. On the contrary, they are closely intertwined and interdependent. One of my main conclusions upon last years “European Conference on Games Based Learning” was precisely related to the necessary link between an intricate understanding of games and the possibility of really harnessing the potential of game based learning – if we don’t understand games, it’s difficult to understand and implement learning with games. Also, we will very often find ourselves doing projects, which include both dimensions; If you do build games with your students, and aim to not only improve understanding of games (game literacy) but also focus on the process to develop skills and competences related to process handling, systemic thinking, collaboration etc., You are obviously merging the two fields. Great talk, and great example of how games can be used in a variety of ways. Why is it even important to categorize and discuss approaches, when a guy like Tim is doing such great work without delving on what may seem to be academic trivalities? Why not just “do” instead of all this “talk”? Because it is very difficult for most people to grasp the perspective of games in education if we are not able to somehow create an overview of the possible approaches, and also to illuminate the different potential outcomes of working with games. When I say “games in education”, I have a very clear picture in my head; a very clear picture of variety, diversity, possibilities. In other words, a very clear picture of a huge mess. We must strive to make order in this mess while still respecting that games provide us with a multitude of possibilities, among which we must carefully select those, that support our (also carefully selected) educational goals. I’ll conclude with an analogy: Consider books. We are not constantly trying to frame books within one particular mode of use, as we know “books” to be a very diverse phenomenon. We can read and write books/writing to understand books and writing (literacy), as well as we can read books about specific topics (book based learning, if you will). 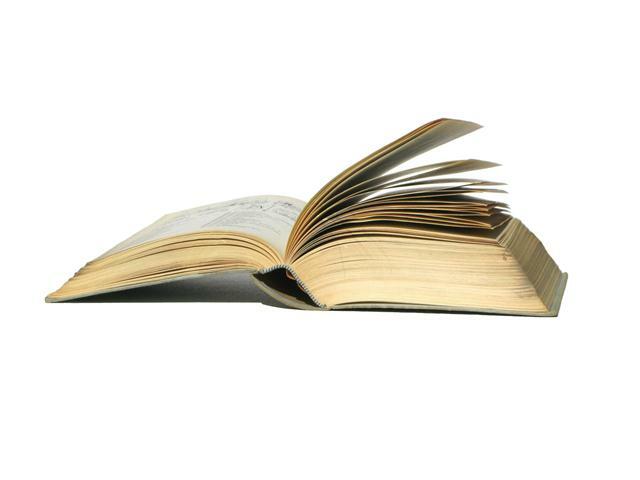 But we’re not limited by these petty delineations, because we see books as a rich medium fulfilling a wide varitey of purposes and even today imaginative educators are coming up with new and creative ways of using books. Think of games in the very same way. As a post scriptum, I propose using #edgames as an equivalent to the very popular #edtech when talking about games in education in a way not fitting precisely with #gbl or #gameliteracy.